a) Mehcad Brooks is my favorite. I like him when he's playing ultra-cocky (TK! ), but he works as James! Okay, it was a little heavy-handed to tie him into the mythos, but as long as they tone it back, life will be grand. e) Cat Grant is the worst, but we'll ignore that. She's a realistic worst. f) Ignoring the entitled male take on Felicity will be better for all of our blood pressure. g) Melissa Benoist! SO CUTE. THIS NEEDS MULTIPLE BULLET POINTS. i) at some point, Mehcad Brooks is going to take his shirt off and it will be for the betterment of humanity. j) I just really, really, really love Alex Danvers. God, I am SUCH a sucker for sister storylines where they don't hate each other. I'm not going to say it's my Kryptonite or anything because I'm not that lame, but if they never fight over a boy, I will forgive Ali Adler for Chuck vs. the Fake Name. k) there's an infodump at the beginning, but it's like an old friend when dealing with Krypton stories at this point. 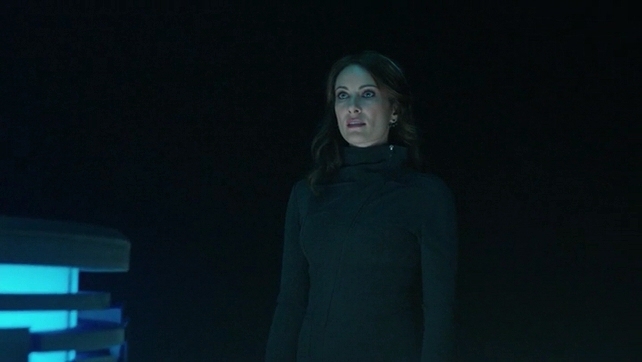 l) Laura Benanti with the Celtic forelock! I was scared she wouldn't be around much when they told us who she was playing but NOW I AM ALL IN, SHOW. ALL. IN. m) I see those parents you tried to sneak by us, show. I see what you did there. My thoughts on Dean Cain are similar to mollyhall's thoughts on Dean Cain. n) Have I mentioned how ADORABLE Melissa Benoist is as Kara? 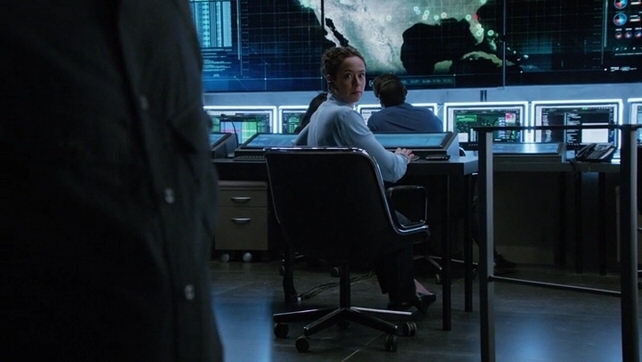 o) I like the inclusion of the DEO as both Alex's workplace and a place for them to get information about the escaped convict of the week. I know Superman's story is one where he works alone and bears the weight of the world and keeps his identity from his friends, so it's REFRESHING to have Kara have a team behind her, even if Henshaw isn't her biggest fan. 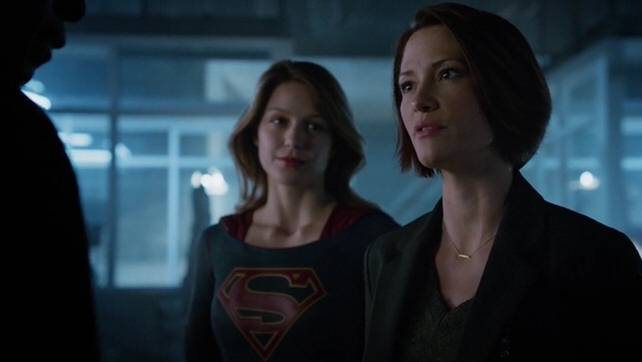 It gives them so much more room to play and lets them focus on fight scenes and other things rather than "how do Kara and a couple friends find out about mastermind criminals in time? What wacky coincidence could this bring?" p) AND SPEAKING OF FRIENDS, this show immediately gets the annoying storylines out of the way right off the bat. 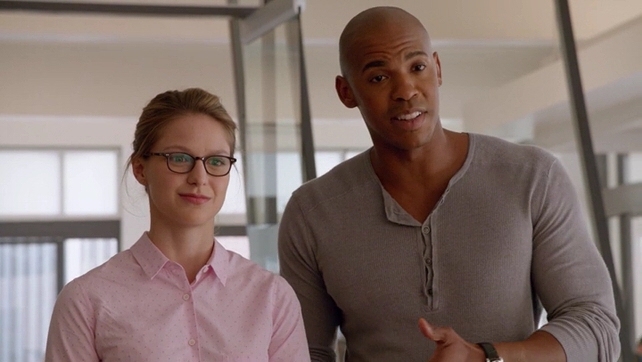 The people I'd hate for Kara to lie to about her identity already know who she is and have offered their support and that is so wonderful to me. Where The Flash majorly stumbled was not letting Iris in on Barry's secret almost immediately, and this show neatly sidesteps that issue. Four for you, Supergirl. I would have been even angrier if she'd kept this secret from Alex, who could probably tell her adopted sister was not human. q) I admit it: the shot of yanking back the shirt to reveal the crest and running into the camera got to me. I am weak. r) There are soooooooooo many ladies. So many. And this is on CBS. How did that happen?! "You need to see this, sir. ...Ma'ams." t) I think they did a great job setting up why Superman couldn't just show up and save his cousin's bacon, and I saw Kate Sheeran Swed on Twitter sum up why this was great. 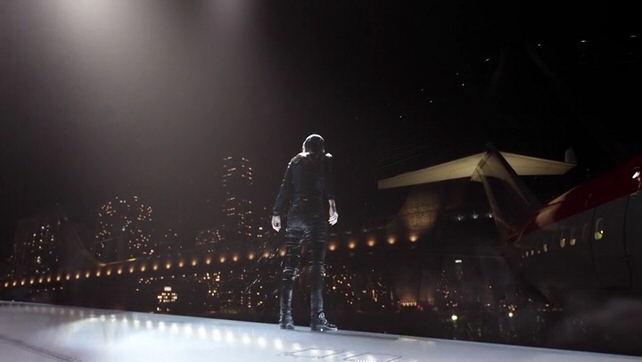 u) Kara yelling at the news after they criticized her over kind of damaging the bridge. Actually, Kara in that scene altogether. Actually, just Kara. It's nice to know that the Kryptonians are always going to be fumbly, twitchy souls who never stop moving. Putting on the crest and the suit seems to have a calming effect. Alex should look into that. v) I don't want to see Superman on this show. I want to see Lois Lane coming in and giving James so much crap because REPORTER FRIENDS FOR LIFE. 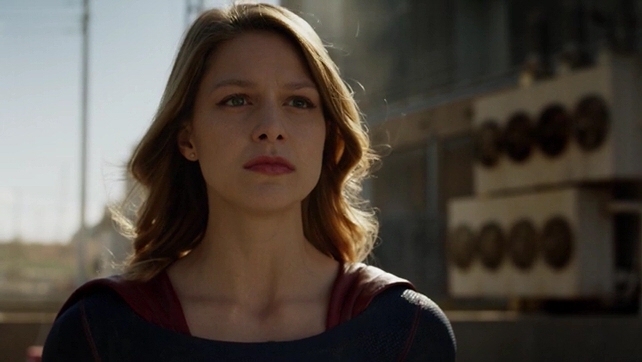 w) That beatdown at the water treatment plant was so brutal, but I'm glad that they didn't shy away from Kara getting punched by the villain. 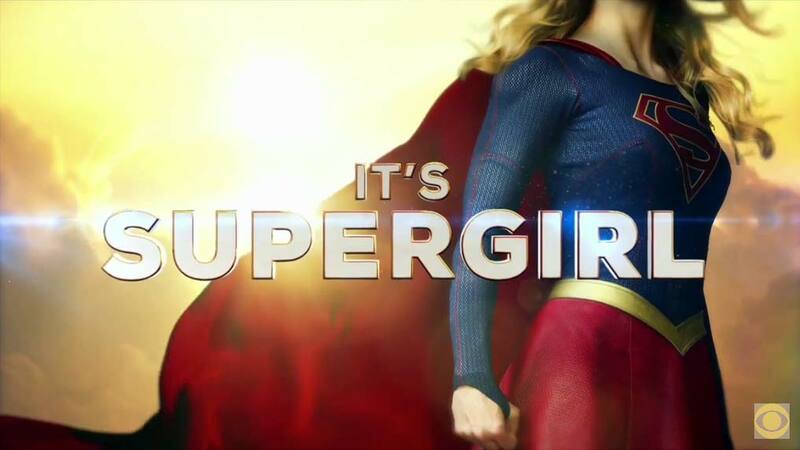 It always makes me think of so many other shows where ladies aren't allowed to fight dudes, and it would have driven me nuts to have this apply to Kara, as she's damn near indestructible. x) The convicts being after Kara because her mother was the judge to put them away. Usually this role is the father. And Alex having the very real concern that it paints a giant target on her sister's back! Aaaaaaaah I need to roll around on the ground and sob about this some more. y) Kara on the wing of that plane was such an iconic shot and some of my favorite shows have had plane trouble in the first episode (hi, Fringe!). z) Do you know how much Supergirl stuff I would have begged my mom for if this show had been around when I was a kid? That's what it really comes down to. I have, you know, some pretty good reasons to hope that lady superheroes just take off and crash the market (Marvel pushing back Captain Marvel will forever make me furious), but damn, this show is exactly what I want and need. Finally there's a superhero show that I can watch because I adore the protagonist, not one where I have to ignore the broody white main dude and focus on his more interesting friends. And that, to me, is EVERYTHING. Hurrah! It passed the test! I had a feeling it was going to do well. It had the setting right. They promoted it enough! I'm behind the times a bit on superhero TV as I'm watching season 1 of the Flash and never really watched Arrow. Now, if Kara is going to make it work, we need to get some good extra in on it like Flash has done with Rogues, Firestorm, etc. I'd love to see Mary Marvel, personally, but for now, I can handle just some good character development on the ones already here. Can't wait to read more of your takes, Lexie! It diiiiiiiiiid. I may have downloaded the episode months ago, but then I realized I'd have to wait months between the episodes and that just wasn't doing it for me, so I waited and I AM GLAD I DID. SO GOOD. Definitely with you on the promotion for it. It scored the highest rankings for a new fall show. I definitely think they've got some good stuff coming up. I thought the picture of Red Tornado looked silly, but I watched the preview and I have changed my mind. This team is good at shaking out side-characters. Now we just need to dump the IT nerd and life will be good! I agree on just about every point, I'm ambivilent about shirt removal bettering humanity. I was super (rimshot) impressed with how they brought this about. Making a neigh invincible hero vulnerable was done really well. I did snicker though every time they referred to "him" and I kept wondering if they weren't able to get the rights to even say the word Superman, but it does work out well that he's leaving her to find her own path. I can't wait to see what they do with this show. Trust me, Bishop, IT WILL BETTER HUMANITY. I may have watched entire episodes of Necessary Roughness because TK shirtless is a thing that should occur more often in my life. I think they're only allowed to use the name once or twice per episode because I thought I heard them say it? But yeah, DC licensing rights are tricky! On Arrow, they wanted Ted Kord, but weren't allowed to have him because of a Blue Beetle project in the works, so they switched to a terrible version of Ray Palmer, who deserves better than a) his actor and b) the character. I can't wait to see what they have in store!!! I bet I could have gotten you to clean toilets in exchange for Supergirl merchandise! After all, I could get you to do almost anything for the Young Jedi Knight (or Animorphs) books!